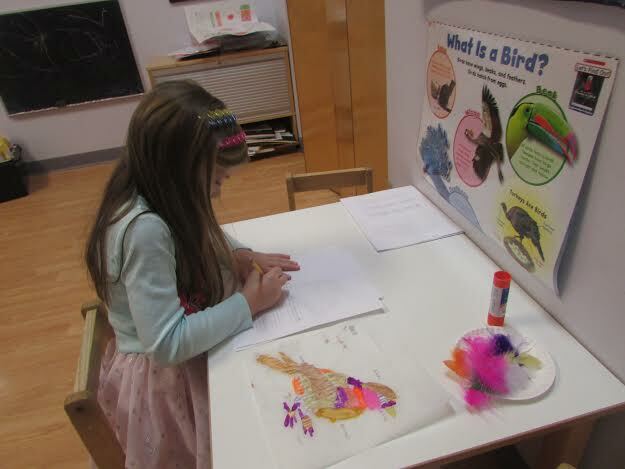 A Primary 2 Kindergarten student worked on a project about birds. First, she conducted research about birds from different books, and then she copied the information and drew the birds she liked on her paper. This project helped her to learn more about the life cycles of birds and the parts of their bodies.